Thank God It's Friday (TGIF) once again. 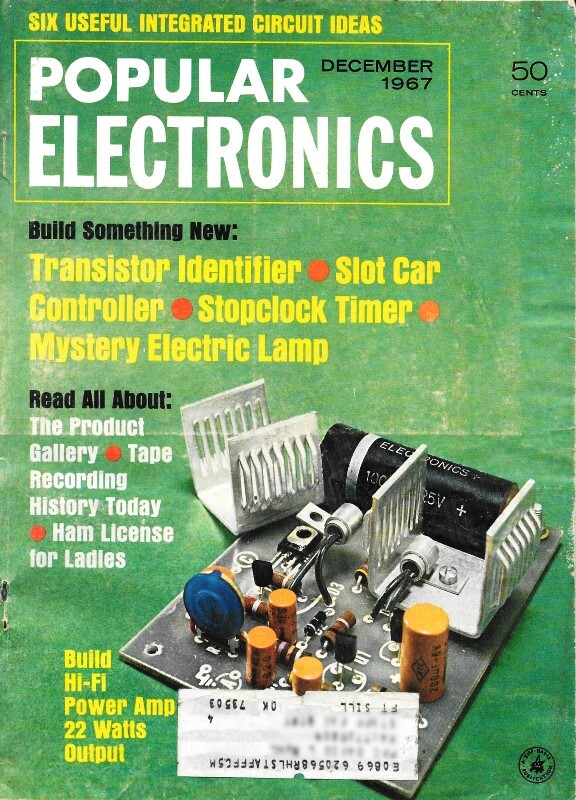 I keep looking back through issues of Popular Electronics magazine for Robert Balin quizzes that I might have missed, and fortunately this one was found. Unlike quizzes back in school, nobody but you will ever know how you score on it - that's what makes it fun. Your challenge is to determine the total resistance value between points A and B both before and after inserting the plug into the jack. Mercifully, Mr. Balin specifies that all the resistors are the same value. The Before part is a piece of cake even for someone in a first semester electronics course - just be sure to pay attention to whether or not the contacts short out any of the paths. The phono plug is on the left and the corresponding jack is on the right. 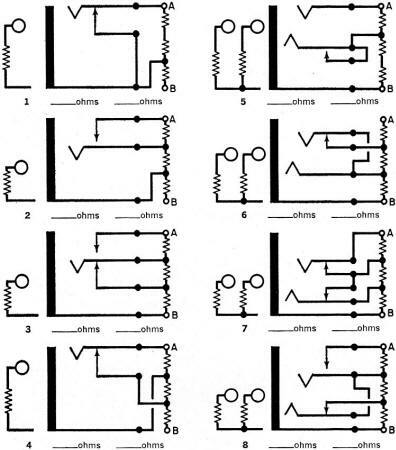 Interpret the dual resistors plug circuits in figures 5 through 8 as having one resistor connected to the tip contact and the other resistor connected to the ring contact (see drawing below), so each connects individually to the upper and lower contacts when inserted into its jack. Plugs and jacks are used not only to connect various units of electronic equipment together, but also to perform a variety of switching operations at the same time. 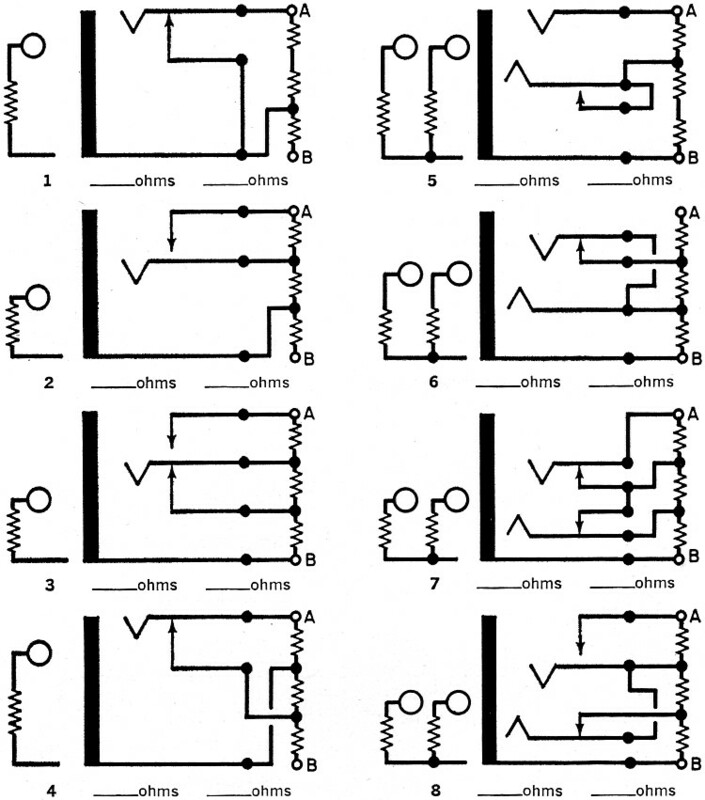 To test your ability to analyze plug and jack connections, sharpen your pencil and try working the circuit problems (1-8) shown below. Determine the total equivalent resistance between points A and B in each circuit Before and After the plug is inserted in the jack. All of the resistors are 6-ohm units.